In the 2017 Saharanpur violence, one person was killed and 16 others were injured, including a policeman. 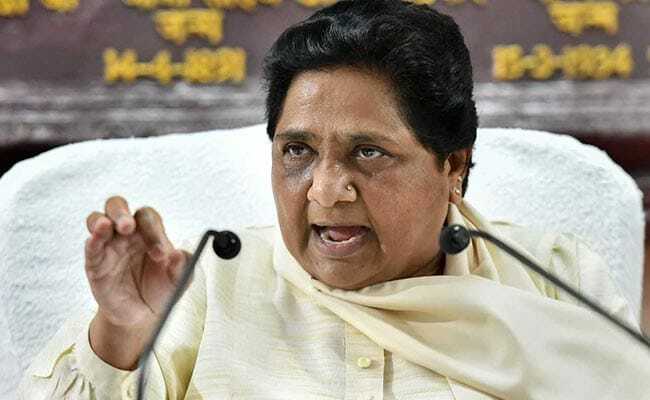 BSP chief Mayawati on Saturday claimed that some anti-Dalit elements allegedly conspired to kill her last year during the "heart-wrenching" Saharanpur violence in Uttar Pradesh. "We have got to know that some fraud outfits like Bhim Army and 'Bahujan Youth for Mission 2019 -Next PM Behan ji', which are against the Bahujan Samaj Party (BSP), are going to our Dalit supporters and collecting funds for their interests and asking them to take part in rallies in order to make me the next Prime Minister," Mayawati told ANI. "They are even spreading hatred in the minds of Dalit people against the upper castes by speaking against the upper caste people in front of them. They are doing so to stop the upper caste people from joining the BSP," the former Uttar Pradesh chief minister added. "As part of this, anti-Dalit elements had even conspired to kill me. Their plan was not fulfilled due to our resourcefulness. I was forced to resign from my Rajya Sabha post as I was not allowed to raise this issue in the Parliament," she added. "I want to urge the Dalit community to not get influenced by any such political organizations and waste their vote for their candidates. Our people know that just because of these organizations last year heart-wrenching Shabbirpur violence took place in Uttar Pradesh against Dalits," she said. Opinion: BJP's Burnol Moment - Mayawati Praises Akhilesh As "Tiger Balm"